Several of the cemeteries we submitted to the National Burial Database of Enslaved Americans (NBDEA) were accepted and are now included in the report, "Memory & Landmarks: Report of the Burial Database Project of Enslaved Americans." Its hard to explain how difficult it is to dig up and compile evidence linking mostly unmarked burial grounds to the antebellum period. Not all submissions made it into this initial conglomeration, but Warm Springs CME Church Cemetery outside of Crystal Springs--the burial ground of blues singer Tommy Johnson--did make it into the report. It's now marked on county and state road maps and archived in the NBDEA. 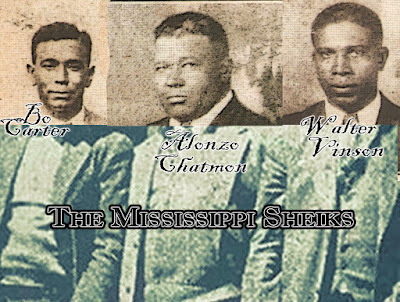 His ancestors settled in the community after fleeing the plantation of James Wilson, who committed suicide by wading into Copiah Creek. Wilson's headstone (left) stands in Old Crystal Springs Cemetery. Click on the link below to view or download the document, which does not list it by name only city and religious affiliation.